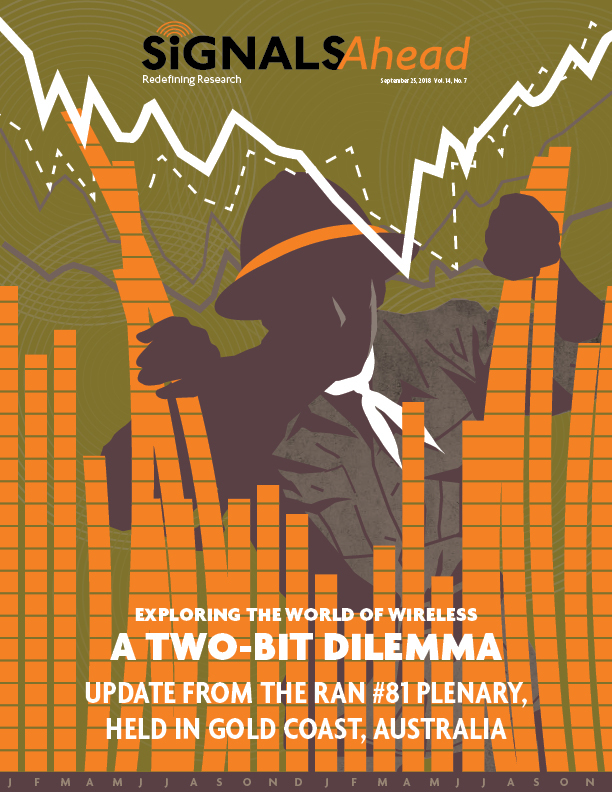 SRG recently attended the RAN#81 Plenary, held in Gold Coast, Australia. 3GPP continues to work on Release 15, Release 16, and now it is doing some initial work on Release 17. While the “little things” that remain for Release 15 may seem trivial, they shouldn’t be overlooked given the date, and the planned 5G NR launches for later this year and early 2019. UE Features Defined. 3GPP finally determined which user equipment (UE) features are mandatory versus optional for Release 15. Good news for interoperability, but a bit late in the game since vendors now need to implement these decisions. Release 17. Although the work is very preliminary, we discuss some of the new study items that SA is pursuing for Release 17. Look for a Release 17 timeline in December. The Verticals are in the House. The automotive and industrial automation industries are showing their influence on the future of 5G NR. We discuss. Power Up! Although the implications are really about improved optimization, another pressing matter pertained to how the UE allocates power between LTE and 5G NR. No final decisions, but we’re getting closer. Marketing Decisions Abound. We’ll likely say goodbye to the use of categories to define 5G NR UE/chipset capabilities. There is also the matter of 3 bits versus 1 bit to transmit the 5G status of the mobile device. The issue isn’t technical and it sounds trivial, but the operator community is split. We discuss. The Road Ahead. We will be testing 5GTF next week in Houston and massive MIMO (LTE) before the end of the month. And did we mention that IoT lab testing is ongoing with field testing starting later in the year? Lots in store for future Signals Ahead reports.